While the military part of a soldier’s life may end, the drive to continue to serve does not. For many veterans, like the both of us, reintegration back into the civilian world was predicated on finding ways to continue to serve our communities through work or volunteerism, or both. Yet, reintegration can be hard, especially when a veteran is unable to take care of their health – particularly their oral health. The appearance of one’s mouth and teeth can affect a lot of things, including their self-esteem, view on life, and ability to interview for a job. In fact, according to the American Dental Association (ADA), one in four adults with poor oral health avoid smiling and feel embarrassed, which can be exacerbated for a veteran since, at times, they feel separated from civilian society. What’s worse: of the 21 million-plus veterans across the United States today, fewer than 10 million are enrolled in U.S. Department of Veterans Affairs (VA) health benefits, and more than 1.2 million lack health insurance altogether. The disparity is even more pronounced when it comes to dental care since veterans do not receive dental benefits through the VA unless they are classified as 100 percent disabled, have a service-connected dental condition, or have a service-oriented medical condition that is affected by their mouth. Without these benefits, there are a lot of barriers for veterans, for instance, the cost and lack of insurance to the distance and accessibility of a dentist. The ADA found that only 37 percent of American adults actually visited the dentist within the last year, and veterans are, more often than not, part of the 63 percent who did not. Unfortunately, this lack of dental care can influence a veteran’s employment opportunities, their overall body’s health, and their confidence. Recognizing the importance of oral health for our nation’s veterans, and to combat the barriers to care, Aspen Dental is partnering with Got Your 6, the military term for “I’ve got your back,” a highly influential campaign that empowers veterans to help strengthen communities nationwide. Together, we are continuing the third annual Healthy Mouth Movement, a community giving initiative launched by Aspen Dental Management, Inc. and the dental practices it supports to deliver free dental care and oral health education to people in need across the United States. 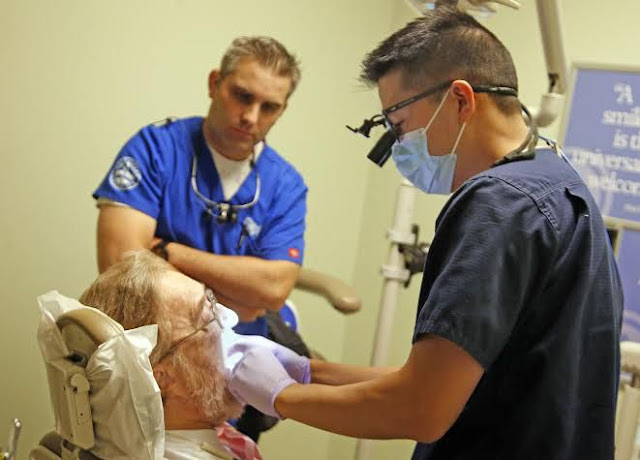 As part of this effort, veterans across the nation will receive free dental care at nearly 400 participating Aspen Dental practices on Saturday, June 25, as part of Aspen’s national Day of Service. Dentists and teams will volunteer their time and talents that day with the goal of treating 6,000 veterans, focusing on treating the most urgent need of each veteran – including fillings, extractions, and basic denture repair – to help free them of dental pain. 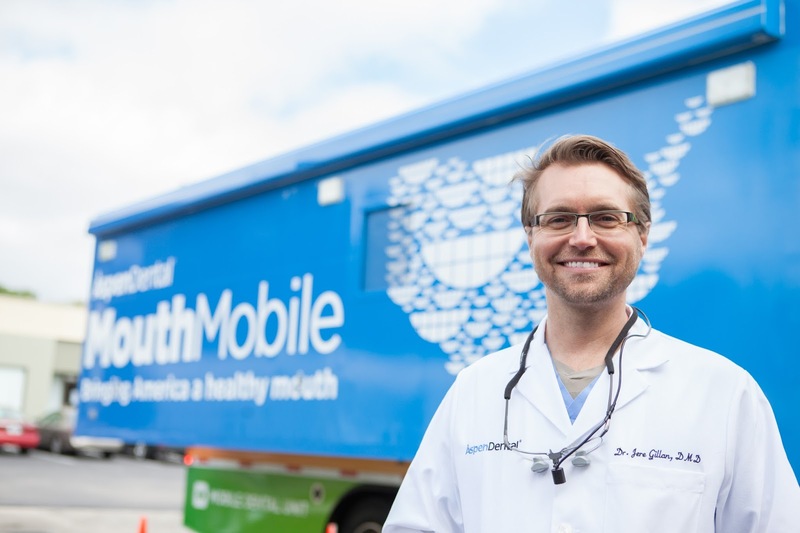 In addition to the efforts of local volunteers on June 25, the Healthy Mouth Movement is also reaching veterans through its MouthMobile, a 42-foot mobile dentist office on wheels that drives directly into the communities where veterans need oral health care the most to provide free care. In its third year, the MouthMobile is stopping at 32 locations in 26 states from February through November. Through the Healthy Mouth Movement, we have had the pleasure of meeting and hearing the stories from the men and women who have served our country and to get to know the issues they experience in getting health care. It has become an honor to lend a hand and help make a major difference in the lives of so many of our fellow veterans. By getting those veterans in need back on their feet, we are empowering them to pay it forward through their own service to their communities. Let’s empower our veterans to not only get the care they need but feel like they can still make a difference on and off the battlefield by smiling a little bigger. For more about Aspen’s Day of Service or to schedule a free appointment for a veteran, visit www.healthymouthmovement.com. Bill Rausch is an Iraq War veteran and the Executive Director of Got Your 6 and Dr. Jere Gillan is an Air Force veteran and Aspen Dental practice owner in Orlando, Fla.